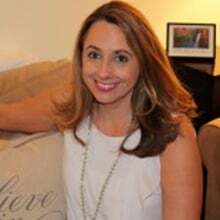 Corinne completed her Doctorate degree in Family Therapy in Florida and holds a Masters degree in Marriage and Family Therapy from New York. She has co-published numerous articles in her field. With a rich experience of 12 years in family and marriage therapy, she is currently serving as a private practitioner with a broad community of clients. Corinneâ€™s goal is to provide support to her clients who are facing issues like grief and loss, stress, relationship troubles, depression and anxiety. Healing, building and securing emotional connection, and understanding the painful patterns that you and your spouse fall into are all a part of her couples therapy.